On September 15, the 2018 National Popular Science Day activity was launched simultaneously nationwide. 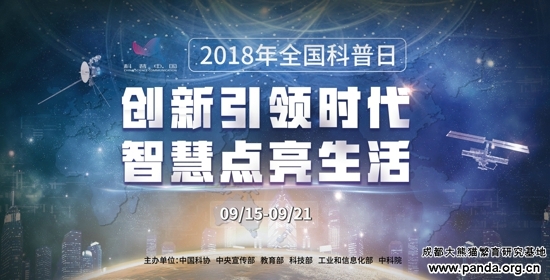 The event was jointly organized by the China Association for Science and Technology, Propaganda Department of the Central Committee of the CPC, Ministry of Education, Ministry of Science and Technology, Ministry of Industry and Information Technology and Chinese Academy of Sciences, with the theme of “innovation leads the times, wisdom illuminates life”. 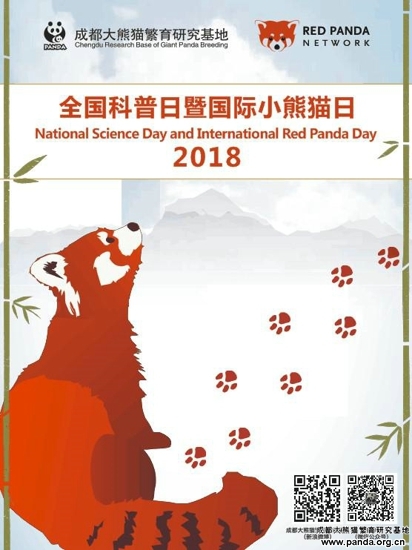 The 9th International Red Panda Day was also scheduled for the same day. 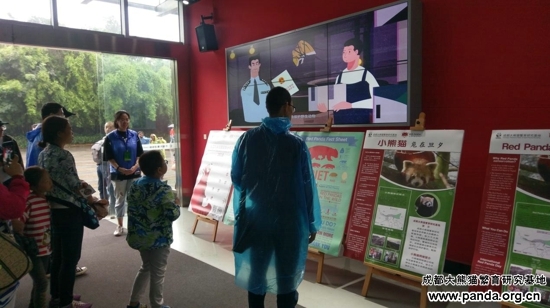 As a national popular science education base and a protection organization with the world's largest captive population of red pandas, the Chengdu Research Base of Giant Panda Breeding carried out a red panda protection themed popular science education activity simultaneously in the panda science exploration hall. 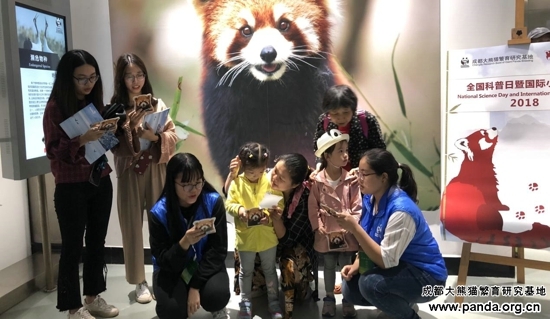 The activity included the small lecture hall on popular science, exhibition and explanation of knowledge posters, interactive games of The Red Panda Activity Handbook, watching popular science videos, learning to sing the popular science nursery rhyme I Am A Red Panda, and themed materials such as stickers and picture books. 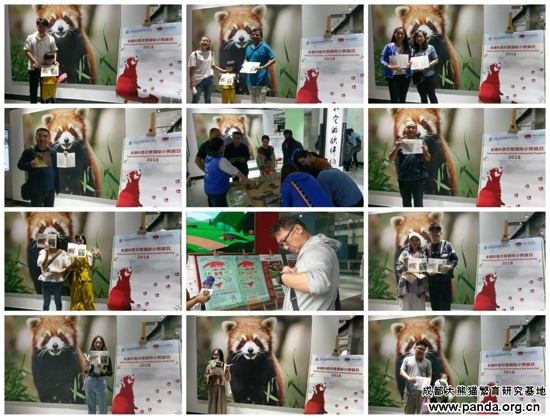 Using the red panda as a jumping-off point, this activity aimed to publicize wildlife protection, improving the public's awareness of biodiversity conservation, encouraging the public to reject the consumption of wild animals and their products, and to build an ecological civilization together by making more positive choices on the small things around them. 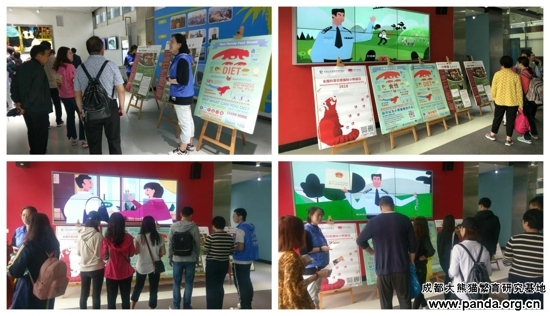 The theme propaganda materials such as stickers of The Red Panda Guardian and bilingual picture books on red pandas.